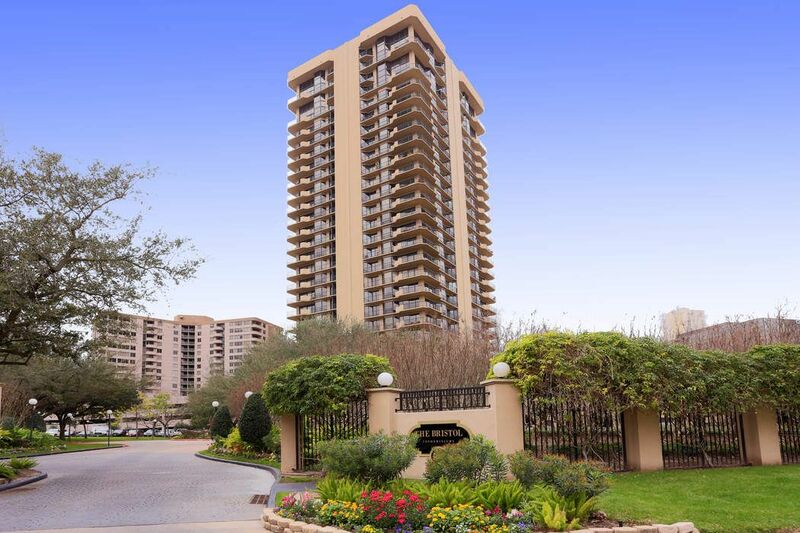 3350 Mccue Road Unit 2602, Houston, TX 77056 | Martha Turner Sotheby's International Realty, Inc. Nothing like a Texas sunset! 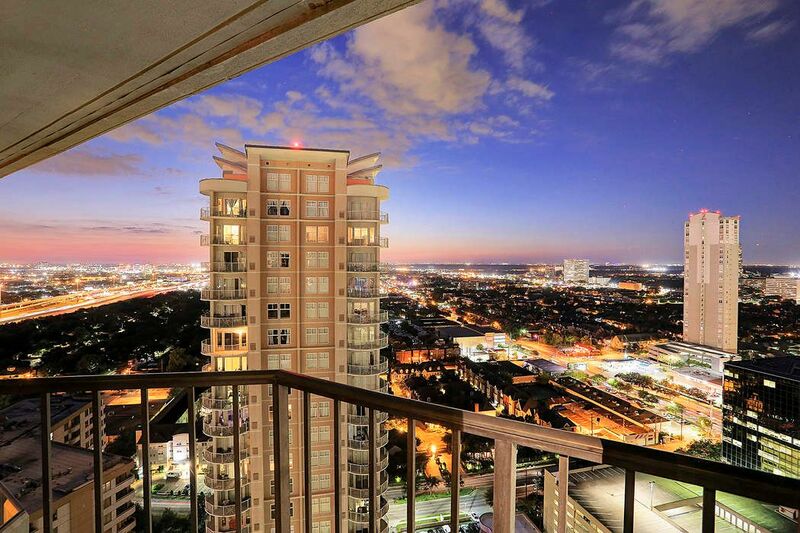 Come see & enjoy this very special Penthouse at 3350 McCUE #2602. 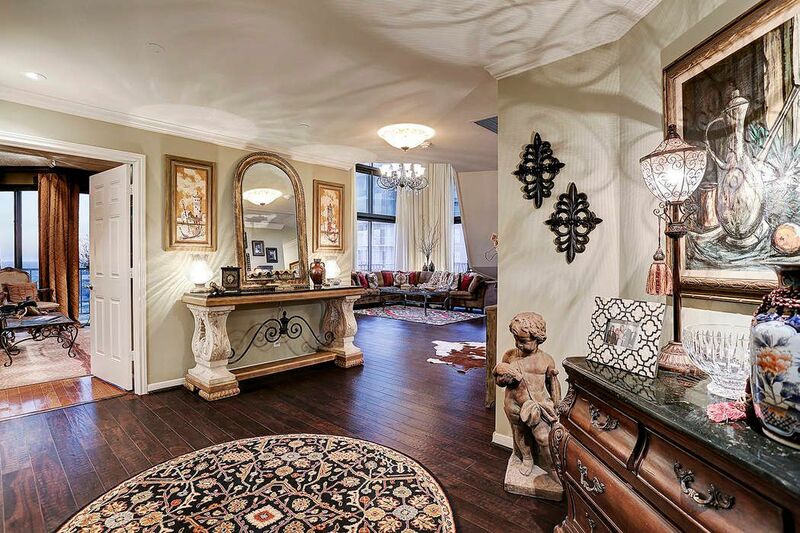 Elegant and stylish with 2 Stories, 3 Bedrooms, 3.5 Baths, spacious Living Areas, 3 Covered Garage Spaces - and this Penthouse is MOVE-IN READY! WOW!! 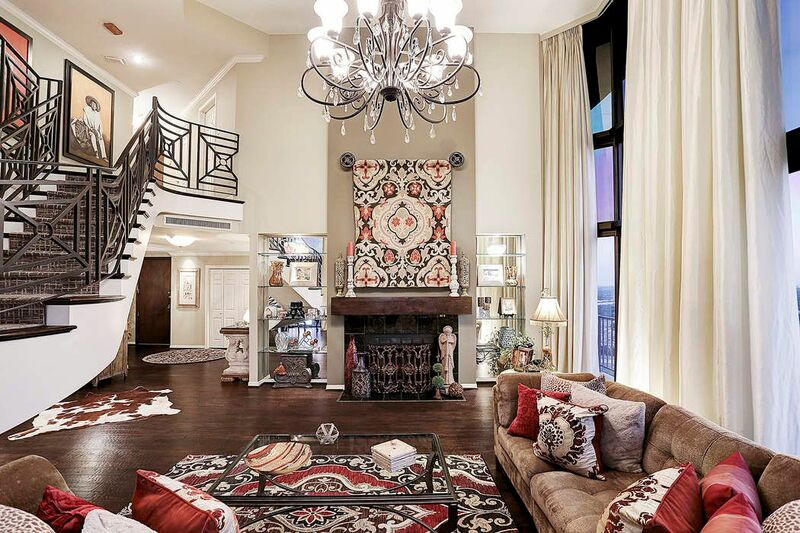 Amazing views, two-story ceiling with dramatic crystal chandelier and a wood burning fireplace (to the right) make this generously-sized FAMILY ROOM a great place to enjoy and entertain. And this view is rather spectacular in the evening, right? 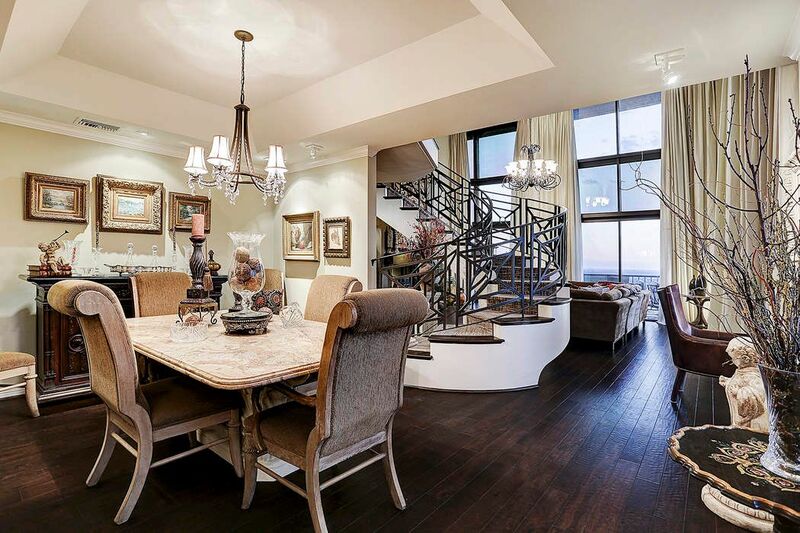 The two-story FAMILY ROOM looking back to the FOYER on the left shows the expansiveness of this stylish Penthouse. 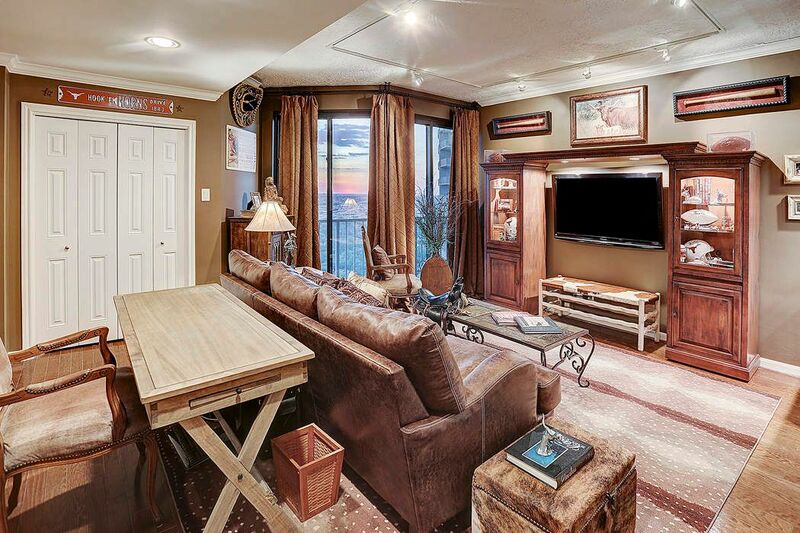 The silk drapes convey as does the TV above the fireplace (hidden by a tapestry that is on a remote). 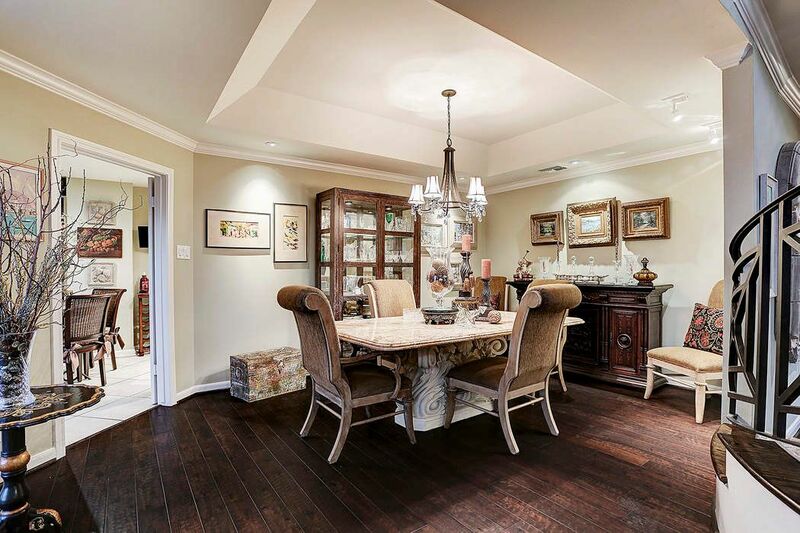 Nicely-sized DINING ROOM with tray ceiling & lovely chandelier is perfect for gracious entertaining. 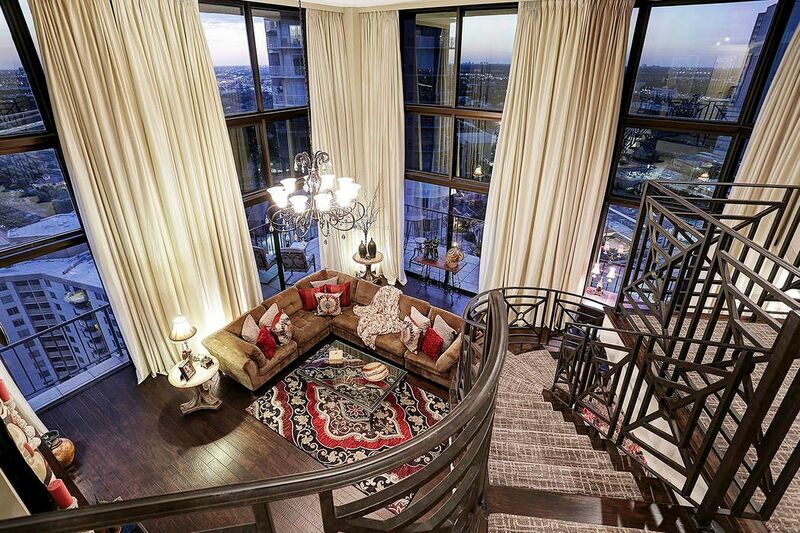 Look how open this floor plan is! 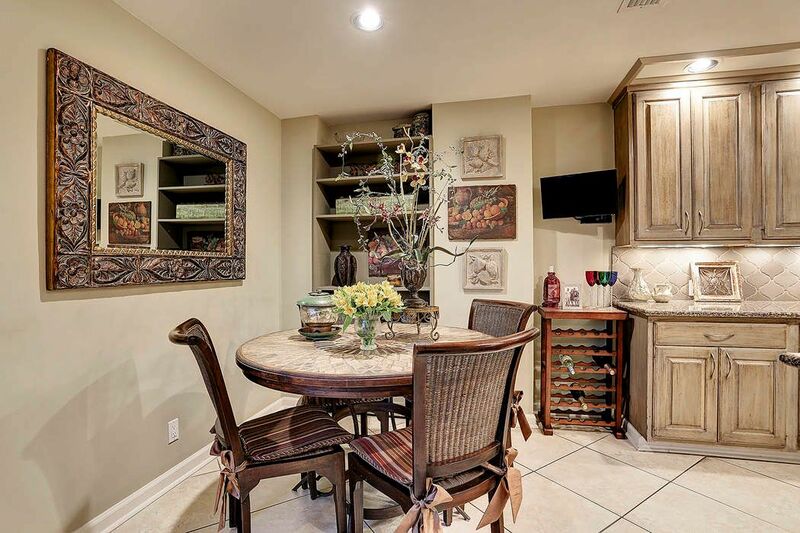 Another view of the DINING ROOM that offers plenty of wall space for furniture pieces and art work. This spacious CHEF'S KITCHEN has handmade Italian tile back-splashes, tons of storage cabinets and a cozy BREAKFAST ROOM with built-ins and city views. 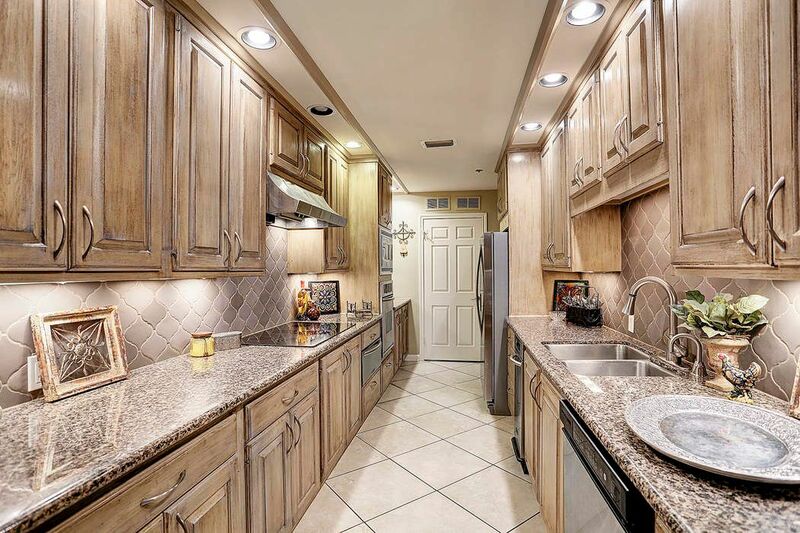 This KITCHEN has it all! 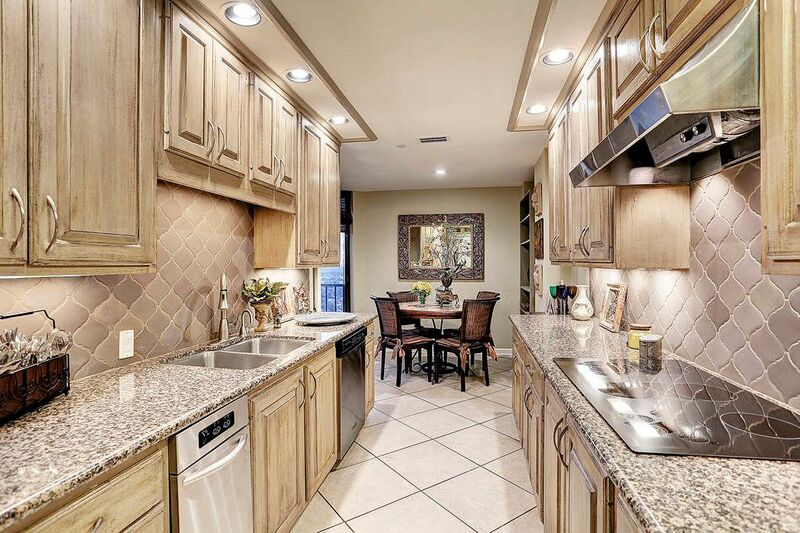 Antiqued cabinets, granite countertops, recessed lighting, and a large walk-in Pantry through the door at the end. Stainless appliances (including a warming drawer) stay with home. What a perfect place to start your day! There is a balcony located just off the BREAKFAST ROOM. The POWDER BATH is conveniently and privately located on the 1st Floor, and has a vanity with a granite countertop and recessed lighting. Access to a private balcony from the 1st Floor BEDROOM (or Study/Den). 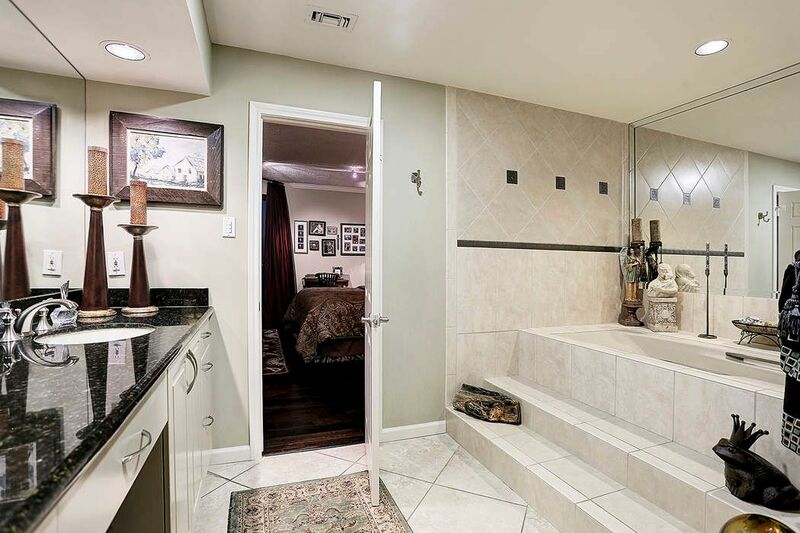 1st Floor FULL BATH has a walk-in shower with a seamless glass door and a vanity with an undermount sink & granite countertop. 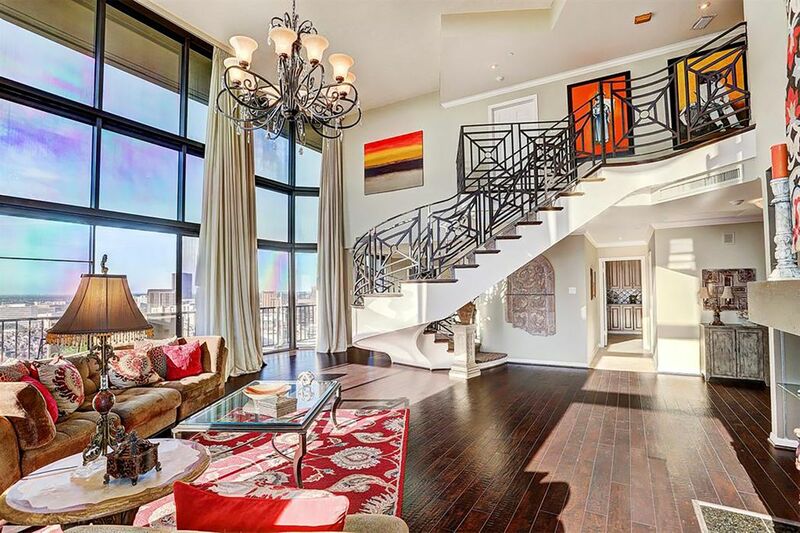 Can you imagine waking up every day and walking downstairs to breakfast? 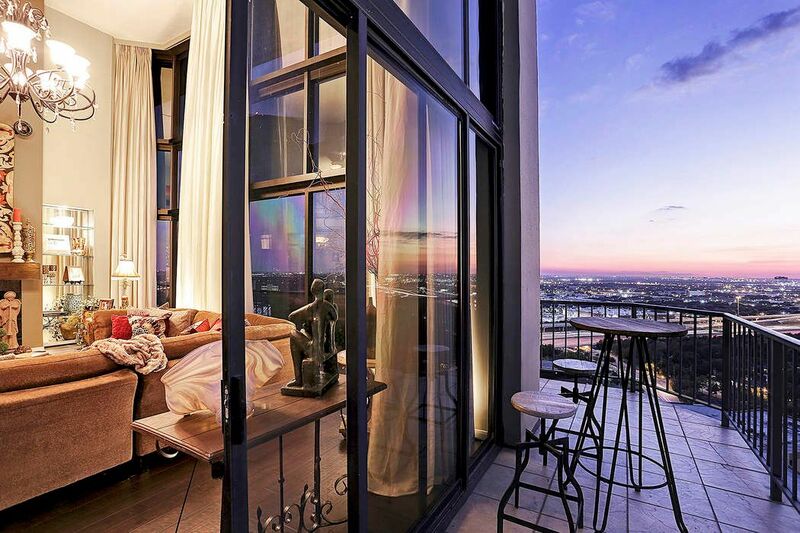 Over-sized MASTER RETREAT with hardwood floors and floor to ceiling glass windows that lead to a cozy private balcony, perfect to hang out and take in the views. 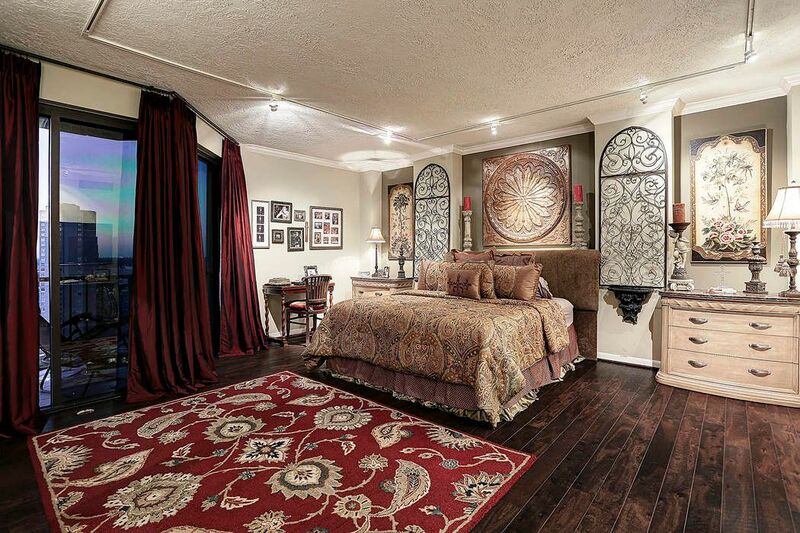 Master suite has 2 master closets with built-ins and a large en suite master bathroom. 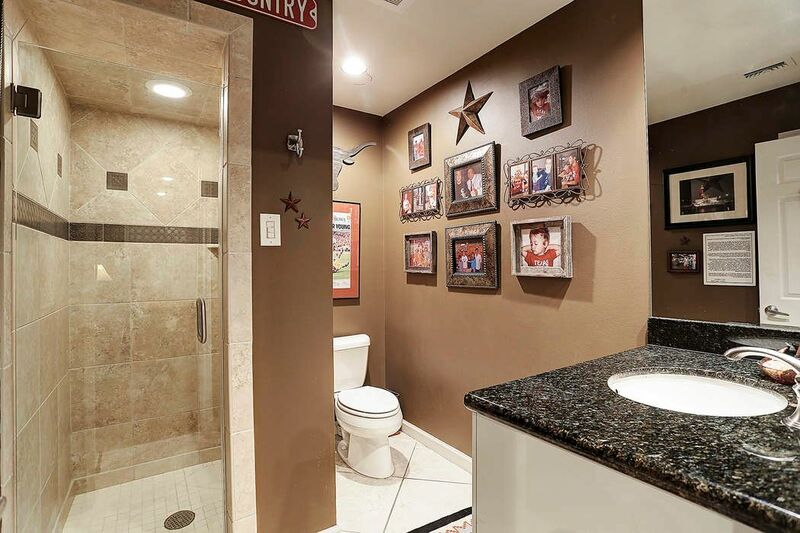 A deep soaking tub, wide vanity area with two sinks and granite countertop, walk-in shower, and a private water closet are waiting for you in the MASTER BATH. Come enjoy your own private spa! 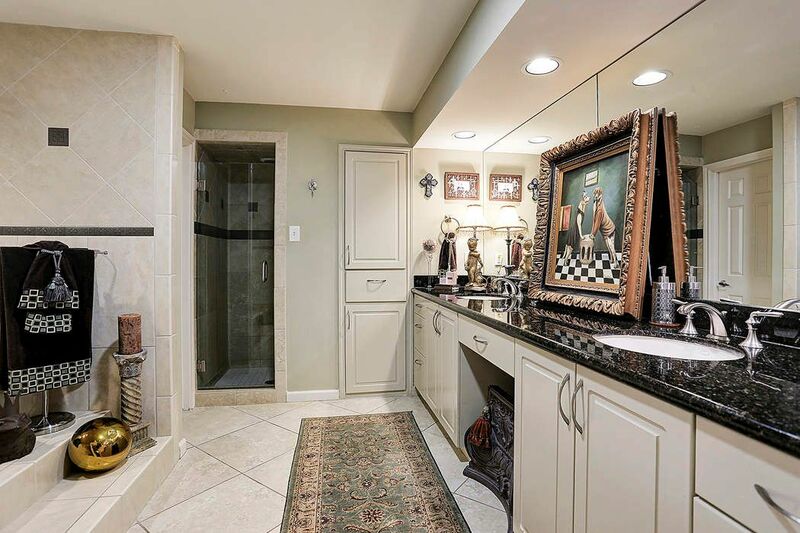 Notice the amount of storage and the recessed lighting in this well-appointed MASTER BATHROOM. 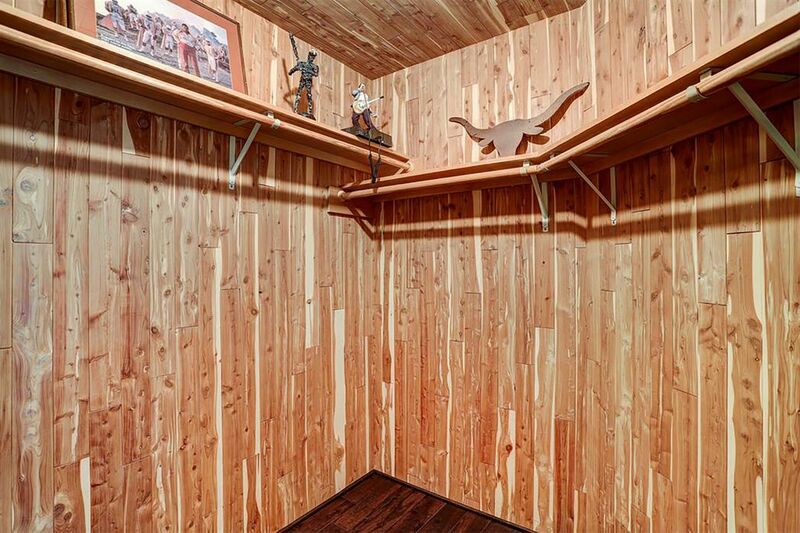 Fabulous HALL CLOSET is completely clad in cedar and has wood floors. 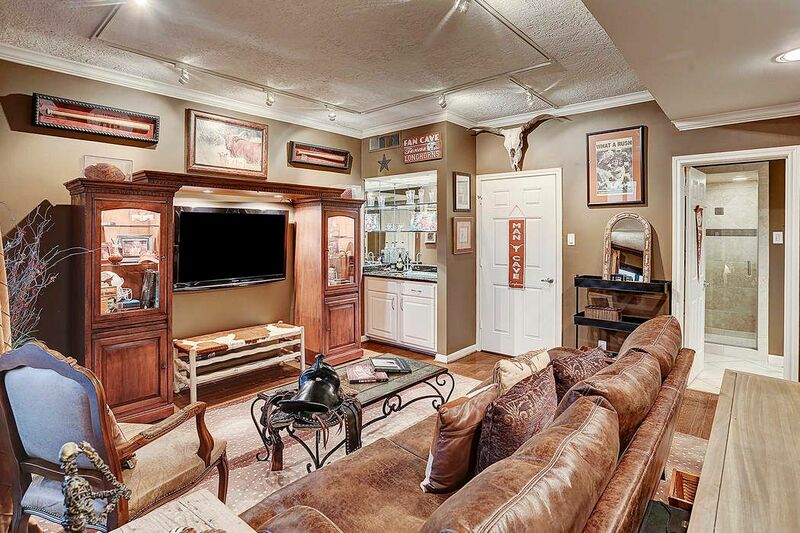 What a great storage space to have in our Houston climate! The other 2nd Floor BEDROOM is large enough to be a second master suite. 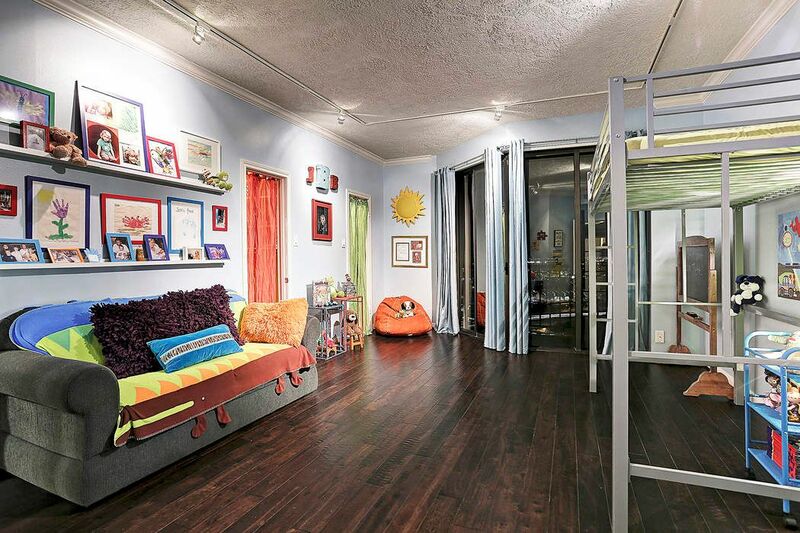 Large bedroom, two walk-in closets, double sinks in the en suite bathroom and access to a private balcony. THE BRISTOL has a covered front entry, a 24 hour concierge, valet parking, plenty of guest parking, outdoor green space and fabulous views - all in a SUPERB LOCATION! 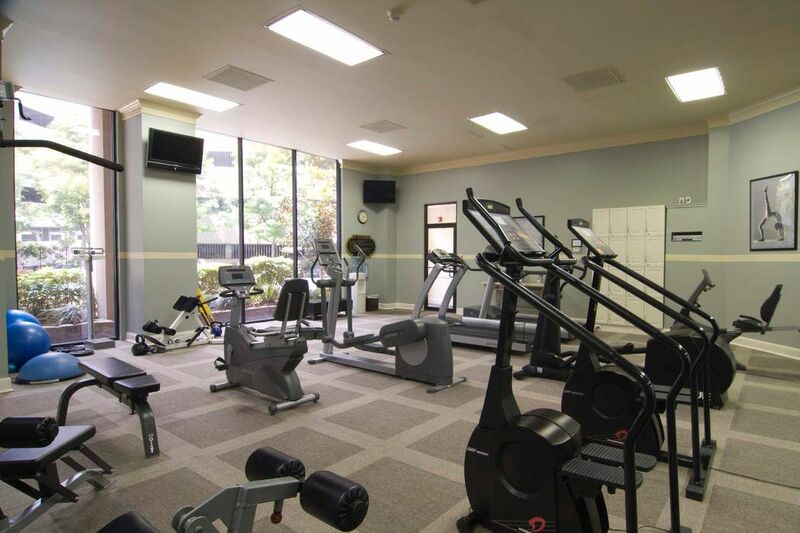 Private GYM with ample workout equipment, multiple TV's and beautiful views out of floor-to-ceiling windows. There are lockers for your convenience and restrooms just outside the entry door. 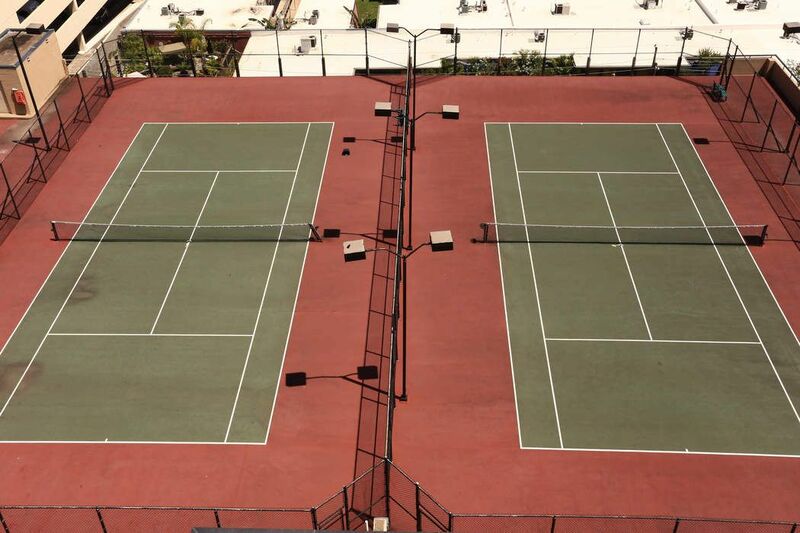 Two lighted TENNIS COURTS are waiting for you on the roof of the parking garage. 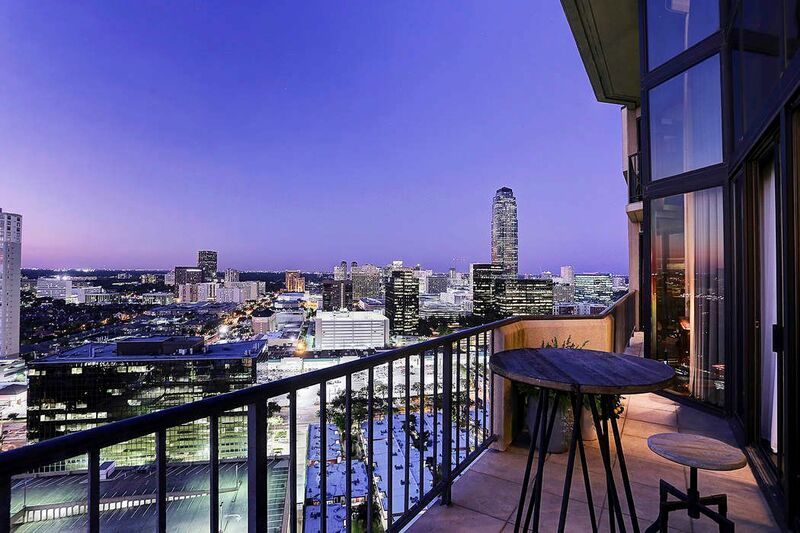 This view can be yours every night! 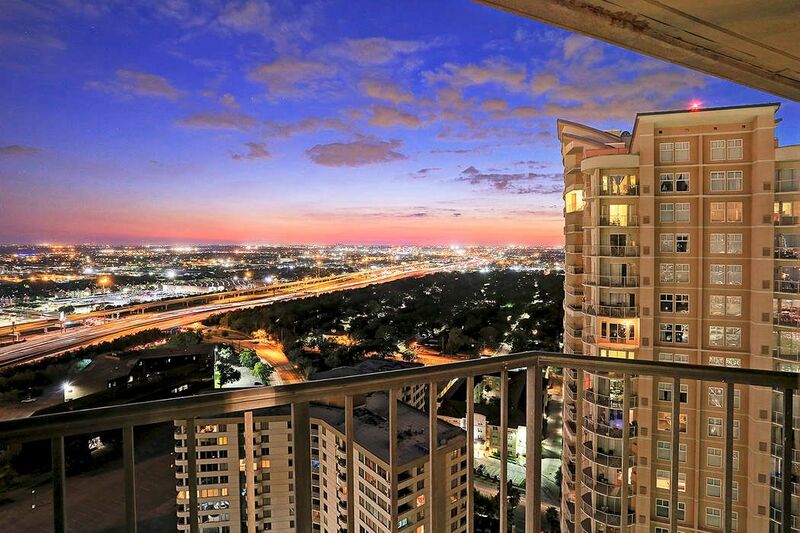 Your views from the wrap-around balcony of 3350 McCue #2602 span from Bellaire to the Galleria. 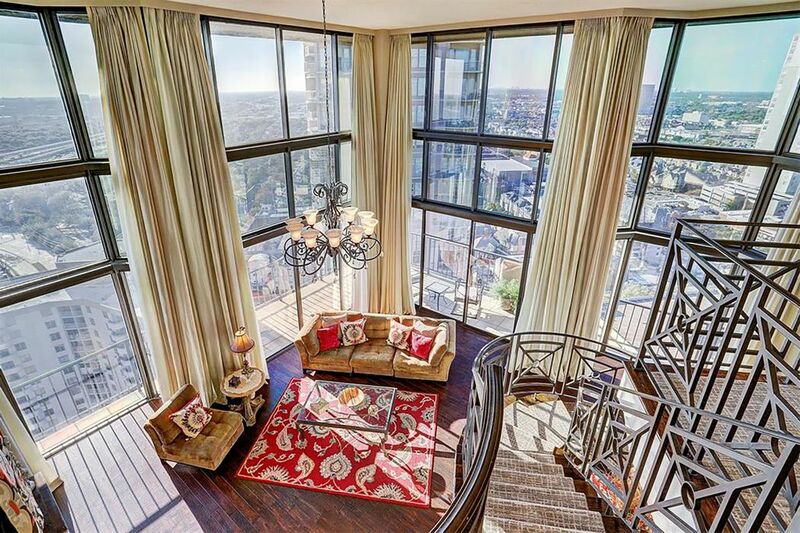 In this gorgeous Penthouse, you truly are sitting on top of the world! 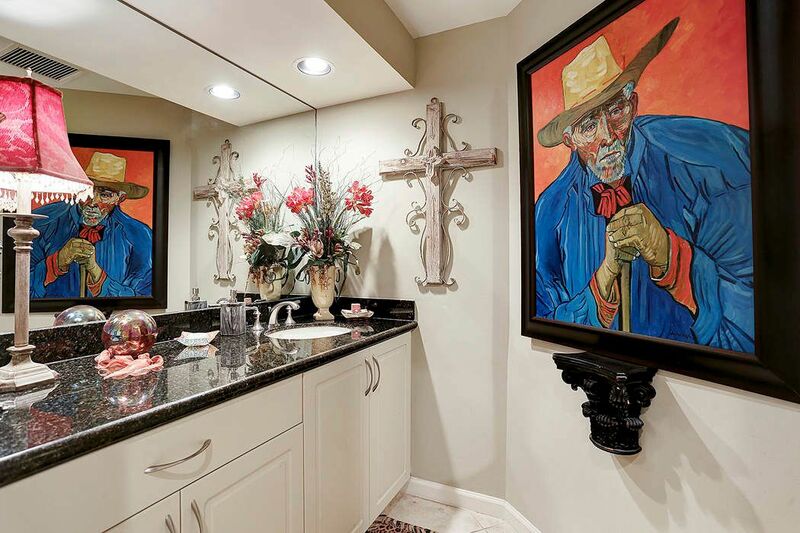 $849,000 3 Bedrooms3 Full / 1 Partial Baths3,364 sq. 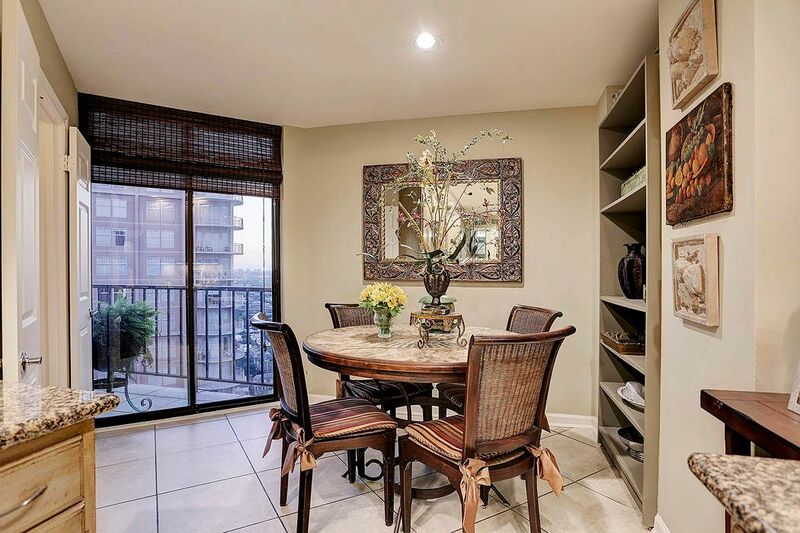 ft.
Fabulous opportunity to live in a beautiful, spacious, light-filled two-story penthouse in a prime location close to the Galleria. Lock and leave lifestyle with three bedrooms (one on first floor, two on second floor) with internal staircase and exterior elevators going to both floors. Two-story living room with fireplace and floor-to-ceiling windows, wrap around balcony, large master suite, superb storage throughout, cedar-clad bonus closet, and excellent building amenities including 24-hour concierge, valet parking, full gym, party room, pool, tennis courts, storage locker and three covered parking spots.